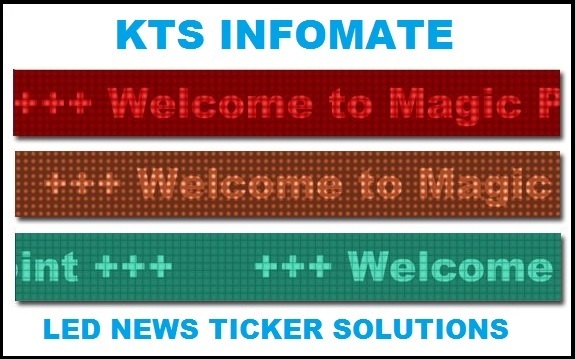 KTS InfoMate also provide with another set of Framework that can control and co-ordinate LED News Ticker (indoor and outdoor) display boards. We will be able to provide you with end to end hardware and software solutions customized to your specific requirements based on this framework. For more details kindly fill up the form below. One of our customer representative will be touch with you soon..